Make a small investment in your safe return. Get safely get up and down your tree stand using the Guide Gear Non-Reflective Tree Stand Safety Rope. This reliable rope safety system features a Prusik knot used by mountain climbers for years to help keep them safe while they climb. The Prusik knot slides up and down the climbing rope, while you ascend or descend. No unhooking necessary! And it cinches tight to stop you if a fall does occur. 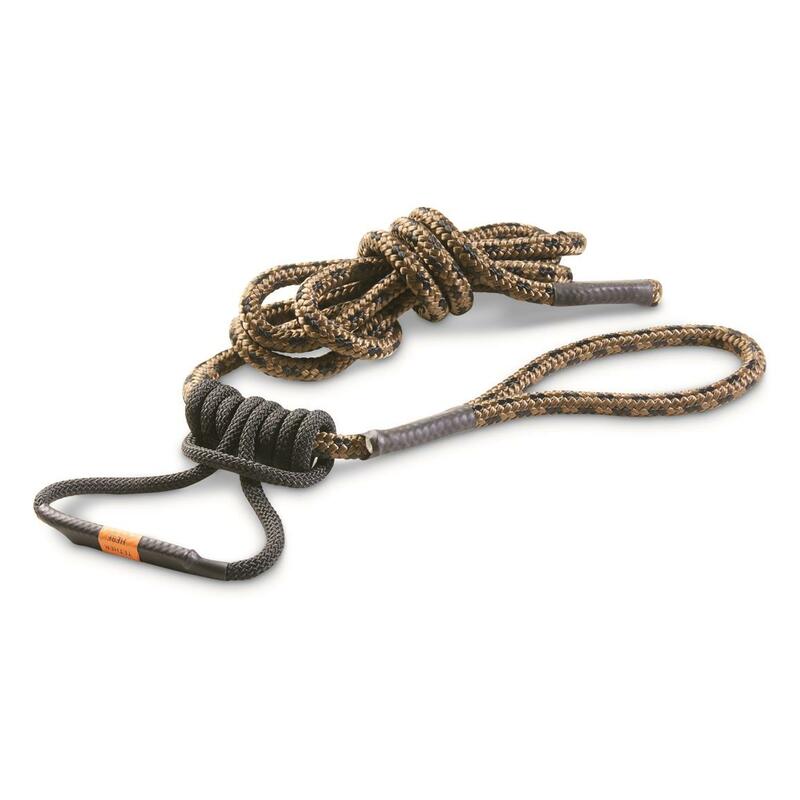 Wet steps are no time to wish you had taken the safe step to stay "connected" with this rope as you get in and out of your stand. Supports a hefty 500 lbs.